Conor McGregor spectacularly conquered his quest for history in what was an appropriately historic night in Madison Square Garden, but The Notorious is far from done shattering records and amazing those in attendance. 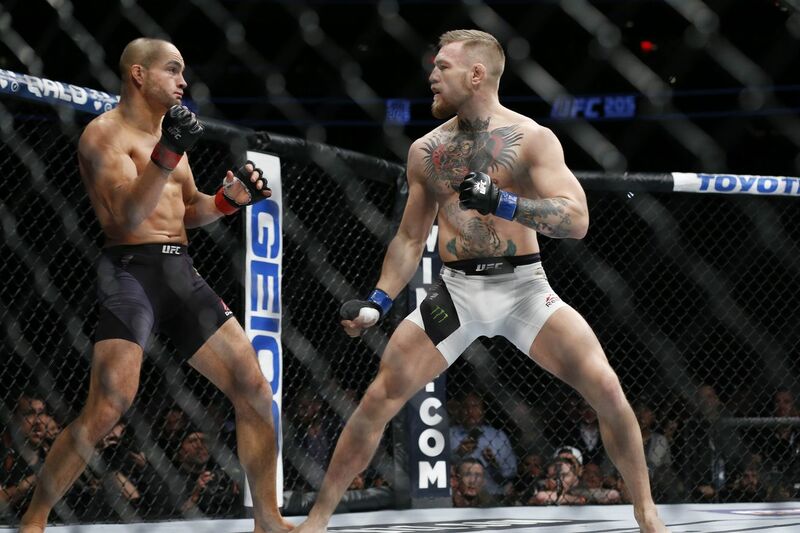 Following his second-round knockout of Eddie Alvarez in UFC 205's main event, the Irishman is now in control of two UFC divisions that are heaped with contenders: featherweight and lightweight. With the current achievements never a settling point, he could even be eyeing up the welterweight division having fought there twice this year, and tension mounting between himself and the 170 lbs champion Tyron Woodley. Along with another shiny gold belt, McGregor will have an addition to the family, as he announced in the post-fight press conference that he and his wife are expecting a child next year, which may diverse his course of action in 2017. The timeline for that will need some figuring out, along with his apparent bid to get more money from the UFC, and while all that happens plenty of opponents will be lying in wait. 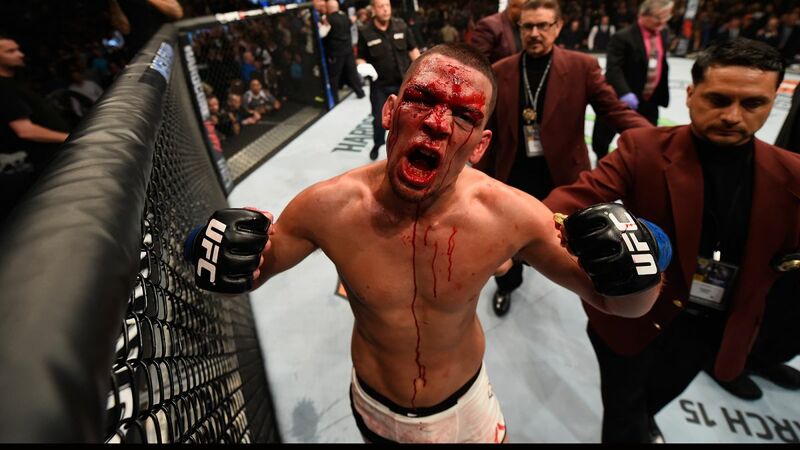 Nate Diaz is at 7/4 while the bookies have Khabib Nurmagomedov at 4/1, with speculation rampant ahead of The Notorious' next quest, according to OnlineGambling.LV. 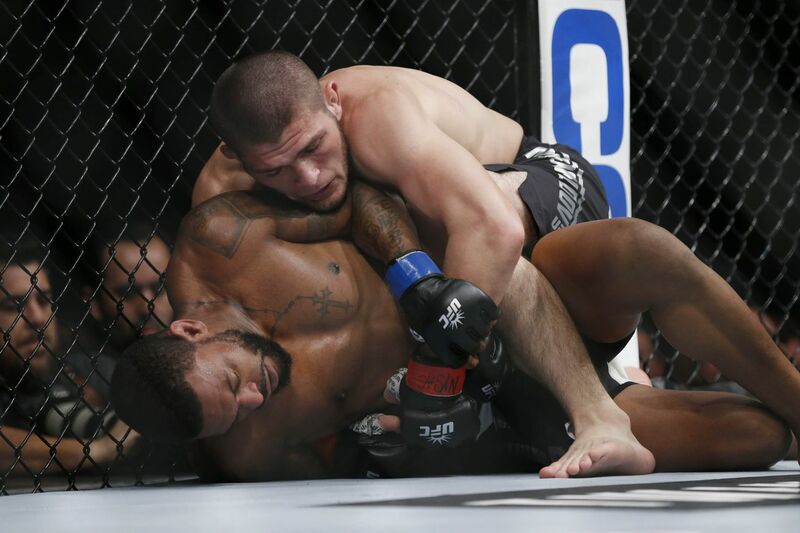 On the preliminary portion of the fight card, sambo artist Khabib Nurmagomedov put a beating on the resurging Michael Johnson, before unleashing a wild rant aimed at The Notorious one. After weathering the storm on the feet and overcoming some dangerous punches from his American counterpart, the Eagle nailed a takedown and from there issued a mauling, with vicious elbows and punches in mount and half-guard, which took place across all three rounds. Eventually, he was able to crank the arm for a kimura and put the tough Johnson away. "I understand crazy power of UFC PR machine, but your guy, beginning of the year he tapped like chicken, end of the year he fight for the title. Crazy! This is true. Irish only 6 million, Russia 150 million. I want to fight your chicken because this is the number one easy fight in the lightweight division," he exclaimed to the chorus of boos from the New York crowd. It's hard to argue with the Russian's case for a title shot, having went undefeated and now getting even stronger with better health. If he can keep injury-free, a massive Russia vs. Ireland collision may just be the next thing to tempt McGregor. Adding to that animosity is the fact that they had an altercation at the ceremonial weigh-ins the night before the fight, with security getting in front of them after a heated exchange. Bad blood is often the basis for big fights, especially with the two-weight champion, so Khabib is certainly on the list when that's combined with his fantastic credentials. It will be another buildup "Wrestler vs. Striker" talk, but when you consider how devastating Khabib can be on the ground, and how Conor can out-strike him on the feet, it is an excellent fight. 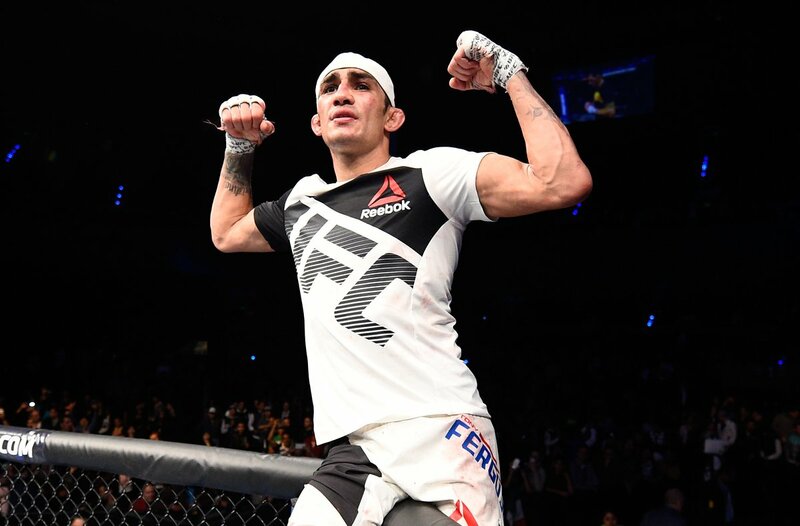 Let's not forget that Tony Ferguson is riding a monster nine fight win streak, fresh off a thrilling defeat of former champion Rafael dos Anjos, a man of who himself was lined up to clash with the featherweight champion, but was sidelined with an injury two weeks out. 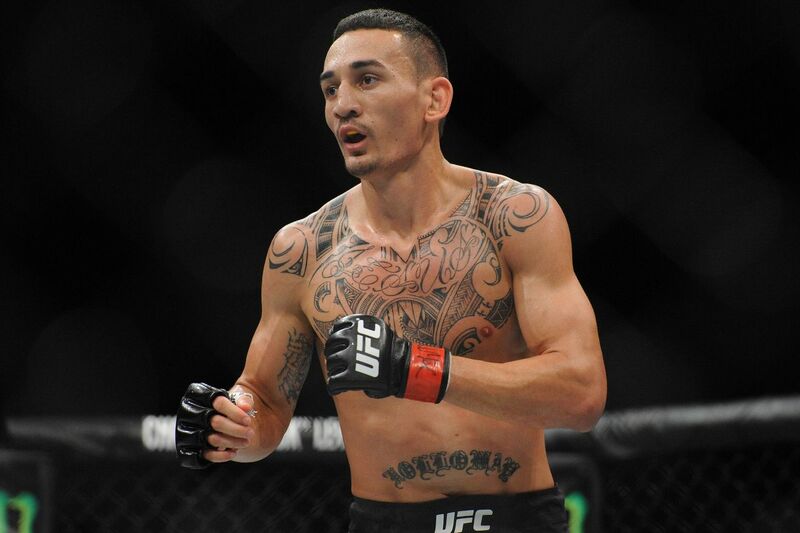 "El Cucuy" was also slated to fight Khabib Nurmagomedov at various spots over the past year, but injuries to both halted what would have been surefire title eliminators. He's also been keen to call out McGregor throughout the run, and his unrelenting heart, durability and cardio could give the newly-crowned lightweight king a run for his money. What now may develop is a blockage in the lightweight division should McGregor wait out, but then there's always the possibility of once again matching Ferguson and Nurmagomedov up against one another. If two UFC championships aren't enough, why not go and grab a third? 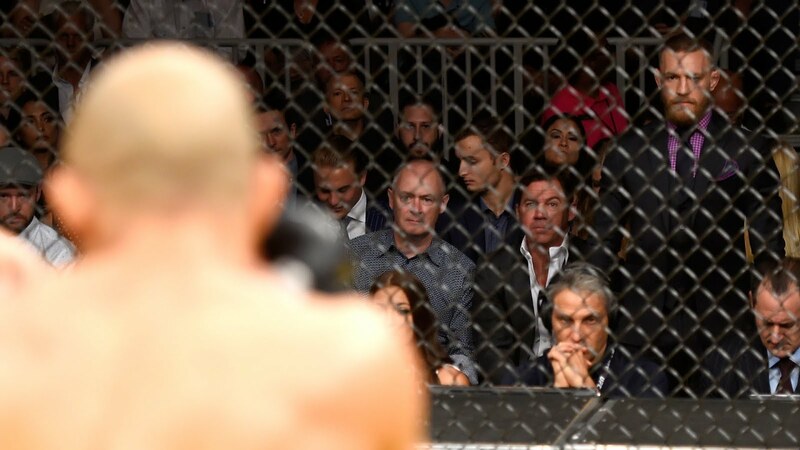 Especially when you look back to the events at fight week, with Conor McGregor visibly annoyed at The Chosen One's decision to film the press conference melee, calling him out after an intense face-to-face following the official weigh-ins. Later in the day, security separated the pair with McGregor again throwing insults at the champion. 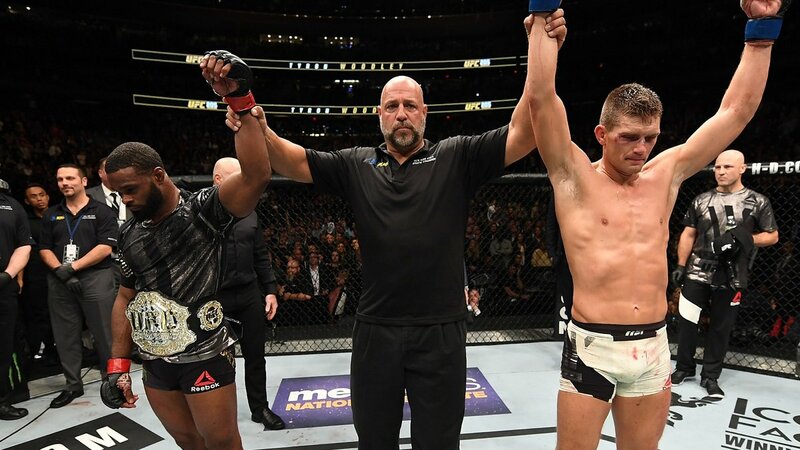 Tyron Woodley walked away still welterweight champion following UFC 205, but that was due to a majority draw in a classic five-rounder against Stephen Thompson. It could be another logjam situation should McGregor be the next challenge, since Wonderboy fully deserves a rematch after the draw, and Demian Maia is waiting in the wings as well. Physically, Woodley is more imposing but McGregor may not be too minnowed. It's still a dangerous fight and may be a rare instance of the Notorious one coming in as a massive underdog. In August, Conor McGregor settled the score with the only man to beat him in the Octagon by outgunning Nate Diaz in a sensational rematch at the T-Mobile Arena. But the score, especially in sport, is rarely left settled - both these men want to get up again, which brings in a trilogy fight. 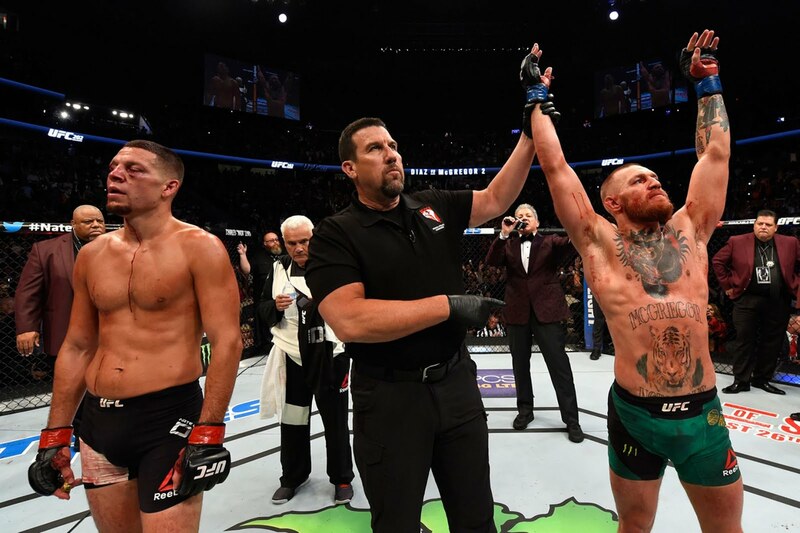 The Irishman alluded to it in his post-fight interview at UFC 202, and now that he has the lightweight champion, we have the perfect ingredients for the third fight, this time at their operating weights, with the best prize in the division at stake. It's the only fight which will lure the Stockton fighter back into action, and perhaps with the money that the two fights made, it could speak a whole lot of sense to McGregor too. And with UFC 209 round the corner, that number also works promotionally. 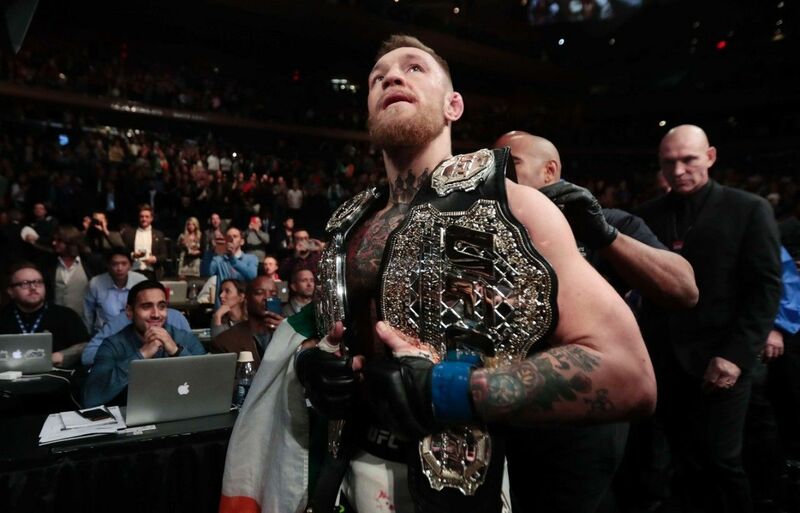 It's easy to forget that Conor McGregor hasn't defended his featherweight championship for nearly a year. But when you look at how active he's been elsewhere, perhaps that can be justified. However, no matter how much eyes he's bringing in, he remains to have an entire division on hold, and an interim champion on the verge of quitting. That left Junior enraged, and even retired from the sport after too many broken promises. Since then he's appeared to backtrack on that slightly, having met with the UFC brass, but at this stage maybe seeking against the foe who tore him apart mentally and physically is the only way he can see a return. It'll also mean McGregor gets to keep hold of that belt and shush those who are critiquing him of not coming back down. 145 lbs is, as well documented, a tough cut for him, but a necessary one to remain a dual weight world champion. 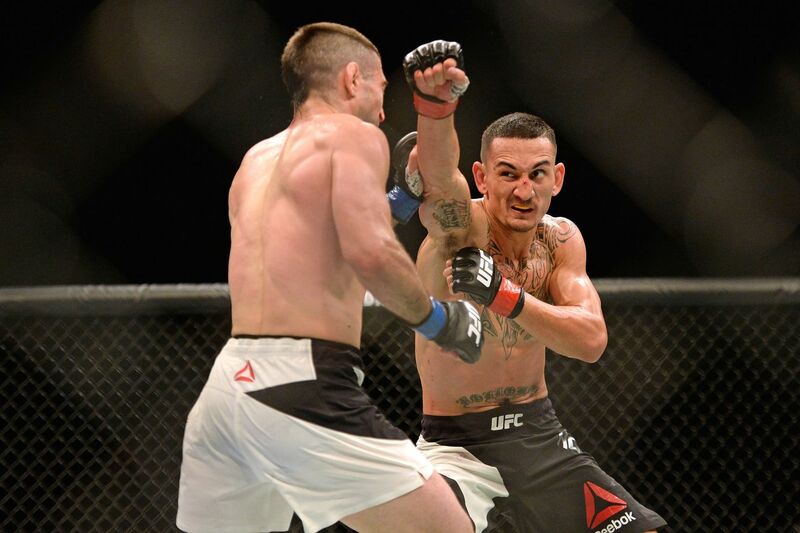 UFC 206 in Canada holds a sizzling featherweight matchup between the red-hot Max Holloway and former lightweight champion Anthony Pettis, and should Holloway notch yet another win on that night, then his title chances are also very hard to deny. He's fought McGregor before and was a rarity in the fact that he went the distance with McGregor, soaking up a lot of damage but powering through to make it an awkward night for him in Boston. Since then, all he's wanted is another shot and has gone about it with an unprecedented nine-fight win streak. The improvements he's made and the people he has putten away is mind-boggling, and he's only 24. If he's able to get by Pettis, who himself weathered the storm towards a successful featherweight debut, then he would have knocked off a former champion and can look towards Conor, especially if Aldo is truly done with the sport. 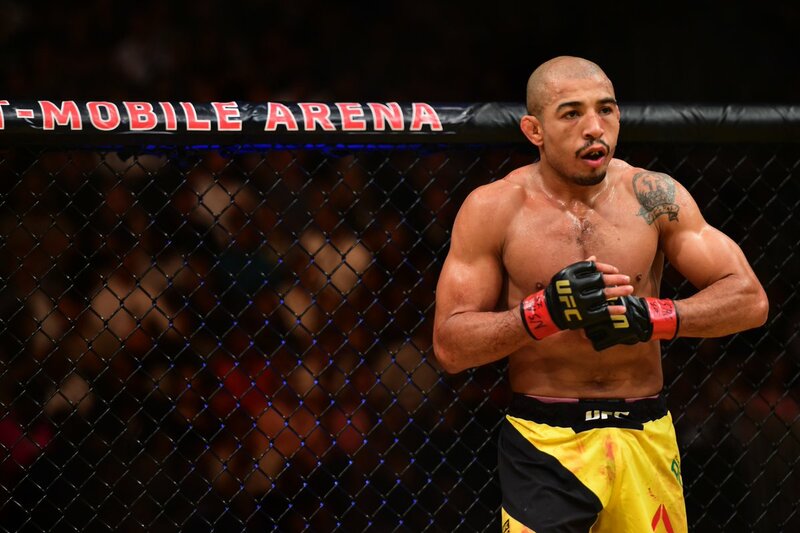 However, should "Showtime" end the win streak, and again, Aldo is out, the former champion may be the toughest contender - plus, he's a terrific striking matchup. However, despite this array of options, there's a number of stumbling points. 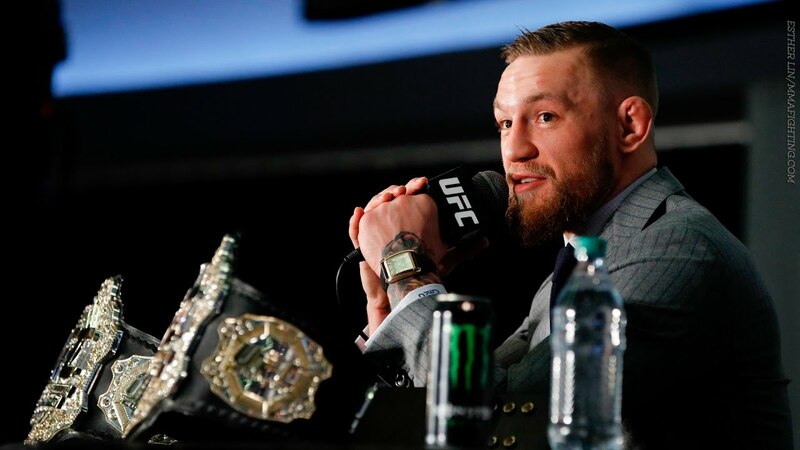 The Notorious explained in his post-fight press conference that he wanted to talk to the new owners from a business point, and gain a bigger stake in the company. That claim is fair considering how he has blown up the sport in such little time. 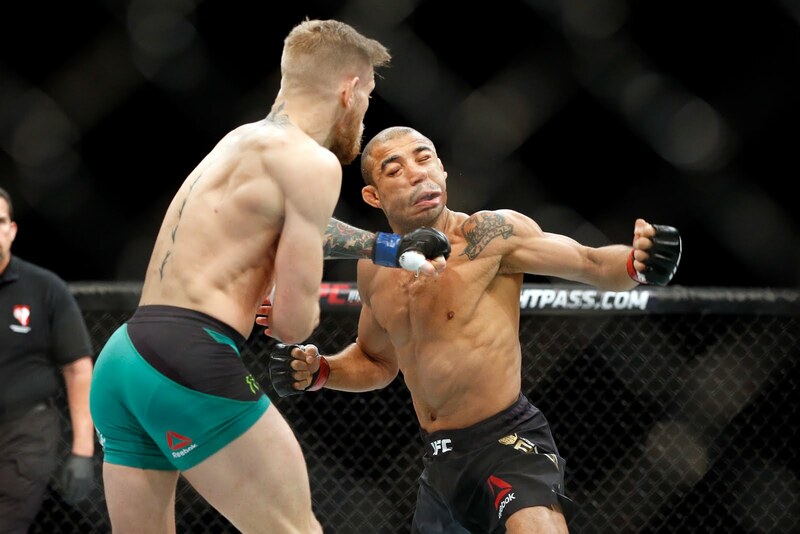 For me, Conor McGregor going back down to fight José Aldo and defend his featherweight belt is the most logical option. Khabib Nurmagomedov and Tony Ferguson can finally duke it out to become the lightweight contender, and Tyron Woodley can sort out the rematch with Stephen Thompson, with Maia waiting for the winner later on. 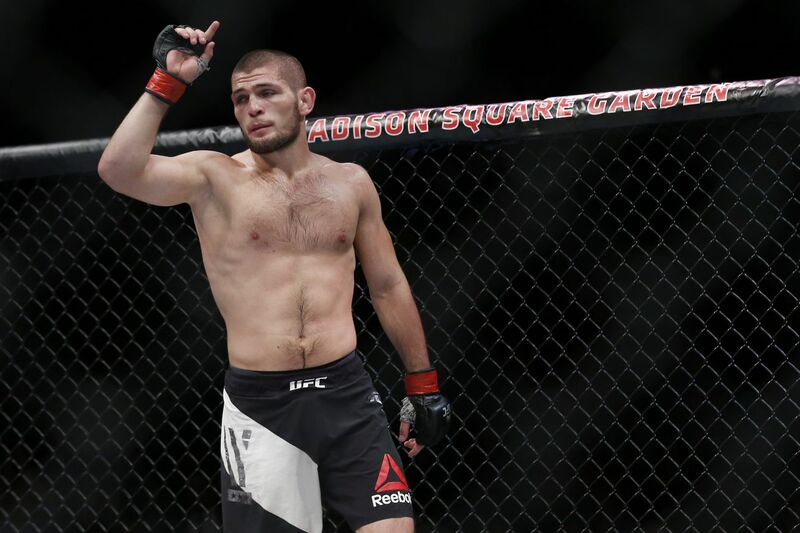 Speaking of the lightweight title eliminator, Khabib Nurmagomedov has no love lost, as quoted by MMA Fighting. With the addition of family, it may make things a squeeze to get him in the cage again before the birth of his first child in May, and then that puts him out most of the summer possibly. By then, with the volatility of this sport, new contenders could have emerged and some will be gone, maybe the pool could be shortened by matching up contenders against one another. Watch out for Donald Cerrone too who could be on the up, it's going to be interesting to see which way he goes - after the hurdles are out of the way. 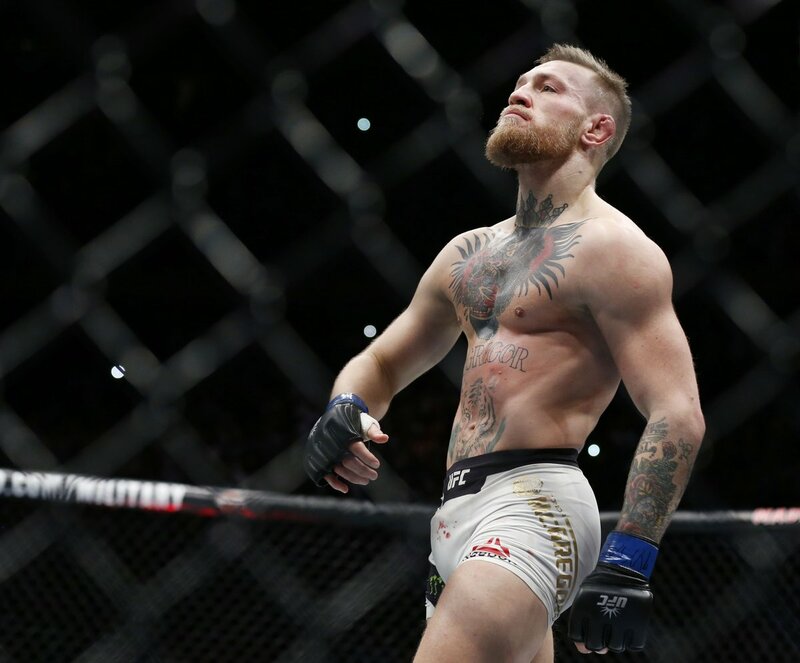 TheSportMatrix • We Live For Sport: What's Next for Conor McGregor? Who's next for McGregor after he destroys Alvarez?